People need extra storage space for different reasons, so choosing a self storage facility that boasts a variety of unit sizes as well as indoor and outdoor drive-up options is important. When you are looking to rent a self storage unit or two, what are you looking for and which type of unit is right for you? Indoor units typically offer the option of climate control so that temperature levels remain the same throughout the year. This is crucial if you are storing items in the long term or storing items that could be damaged by the temperature and humidity fluctuations of outdoor and drive-up units. You will access your indoor unit from an inner hallway. Before you rent a unit at any facility, check to be sure the hallways are well lit and clean. As you prepare to move large or heavy items in and out, consider renting or buying moving equipment to make the job easier on your back. A moving dolly or hand truck is a wise investment. Drive-up units are like garages: they face an outside loading/unloading area and can be accessed by a garage style roll-up or segment door. With a drive-up unit, you can bring your car or truck right up to the unit for easy loading or unloading, which also makes it easier to access and change out items as needed. Because drive-up units are not climate controlled, it is important to note what you are keeping in the unit and how it will be affected by temperature fluctuations throughout the year. Lawn equipment such as lawn mowers, weed trimmers, hedge clippers, shovels, etc. Having the option to store or retrieve items from a self storage unit frees up your personal or office space. 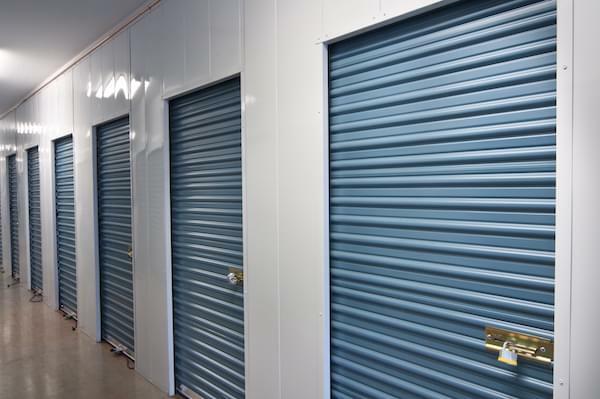 Value Store It offers state-of-the-art self storage facilities throughout Florida, Connecticut, and New York with a variety of unit options to suit your specific needs. Visit our Homepage to learn more and to reserve your unit today.